This whole cutting coupons/ price matching/ saving a quarter here/ saving $.35 here... it's reached it's limit. I had been procrastinating grocery shopping all week long. Finally, late Saturday afternoon when Hubs was busy, I figured "Ok, I'll hurry and get this done, make my list, price match the items I need to buy, cut the coupons, an hour tops and I'm outta there! I'll be home in time to go on a date with Hubs!" Girls who know how to cook don't understand me. I don't understand girls who know how to cook. I know this shouldn't be such an ordeal everytime I have to go grocery shopping, but oh, is it ever. Every week I have to plan out exactly what we are going to eat, and then buy the exact ingredients to make it. There is no messing around in the kitchen, no fun experiments. A little of this a little of that and we've got a delicious meal? Forget about it. Not for me. As I was sitting there making my grocery list, an idea dawned on me. Maybe it'd be more fun if I got Hubs to come with me! "Hubs! You want to come grocery shopping with me?" I tried to trick him with my enthusiasm. Surprise, surprise. He did not. He wanted to go out. You know, like on a date, it being Saturday night and all. But he at least came up with a compromise. "Tell you what, I'm not going to hike around Wal-mart and match all your coupons with you for three hours, but I'll go to Macey's and get the stuff that we need at least for tomorrow." So I agreed. We stopped at Macey's for potatoes on our way home from a Saturday night date, and that was the end of the grocery drama. I'm out of diet coke. And so, after putting the bag of potatoes in our grocery cart, we caroused on over to the drink aisle. Twelve packs of diet coke were "on sale" for 3/$12. You call that a sale, Macey's?! I can get those things down to $2 a pop at Wal-mart! And you want me to pay $4?!? It's highway robbery, people! I stood in that aisle for a good minute, debating if I should fork over $4 for something I could get for $2. Was a Sunday without soda worth saving two measley bucks? No! It was not! And I threw that diet coke in the cart and went on my merry way. "Good job," Hubs congratulated me, "you'll be happy tomorrow when you're craving a coke." "Darn right I will!" I felt good about my decision. Register time. Beep. Beep. Beep. "Wait a minute," I said to the cashier. "I thought the diet coke was supposed to be 3 for $12. Why is it ringing up at $4.67?" I don't miss a beat at that cash register, I tell you. "That's only if you buy three," the cashier replied, "If you just buy one it stays at full price." "Ok, just forget it. I don't want to buy it," I said, frustrated and ornery at this point. I was not going to pay five bucks for soda when I knew I could get it for two on Monday. I'd just have to wait. Hubs watched all this in silence. Walking out the car, Hubs said, "You could have gotten that diet coke. It was only an extra $.67. I don't think you should be stressing about such an insignificant amount of money." "It's the principle of the thing!" I snapped. "They're trying to rob me! It all adds up! I'm not paying five bucks for soda!" Hubs knew better than to speak again. Sunday came and went. Let's just say a Sunday without diet coke is a long Sunday. No little lunch sip, no dinner companion, no friendly late-night drink with my popcorn. This morning I woke up with a pounding, bursting, splitting, intolerable headache. My pain tolerance= zero, so from the hours of 6-8 am, I was absolutely not functioning because of the headache. What always helps my headaches? A diet coke. Who doesn't have a diet coke? This girl. What school sells diet coke in the vending machine? Copper Hills. How much do these diet cokes cost? Sixty five cents. 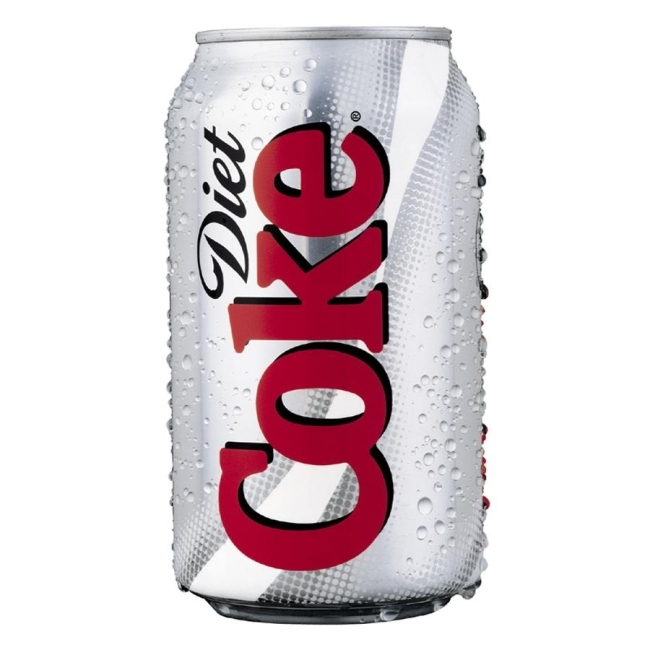 Who forked over the sixty five cents first thing this morning to get a diet coke? You guessed it. I went to all the trouble to save what ended up being two cents. Curse my pride. Curse my stubbornness. Curse price matching. And most of all, curse TLC for ever running that extreme couponing show that started it all. Bon, I totally get the whole couponing thing. Yes you have to plan out a whole week's worth of food, yes you have to pore over every single coupon and every single deal and hope you get the best price at the grocery store. It is absolutely painstaking...but it is so worth it when you get everything for so cheap. I have come to the point where I almost cry when I have to pay more for something that I know I can pay less for elsewhere. It's...so...hard...but I'm glad you understand. In other news, you should probably get that diet coke addiction checked out. It doesn't sound healthy. I am SO the same way but with coke! Everything just tastes better with a coke or in your case a diet coke!! you would love World of coca-cola, all the free coke you want!!! I have to say I'm impressed with your couponing skills, you sound like a pro. You might have to teach me a thing or two because it is just way too overwhelming/time consuming for me! Hey Jessica! It's so fun to catch up with you and see what you are up to through your blog. I can't believe you and Dwight have two kids! So crazy how fast life goes. I have to tell you right after my dad died your dad came into Sizzler and I ended up serving them. He got up and gave me the biggest hug ever and told me how much he loved me and my dad and my family and how sorry he was. It was the sweetest thing. I'll always appreciate that. What is this world of coca cola you speak of? Sounds like my kind of place!